Supporting those approaching retirement to successfully transition and create a retirement that they will love to live! Many people have saved and invested well and plan an exciting overseas holiday to kick off their retirement, but they don’t necessarily ask the question ‘and then what...?’ What happens after you return, unpack the suitcases and souvenirs, and share some photos? What fills your time and enables you to continue to lead a meaningful life? 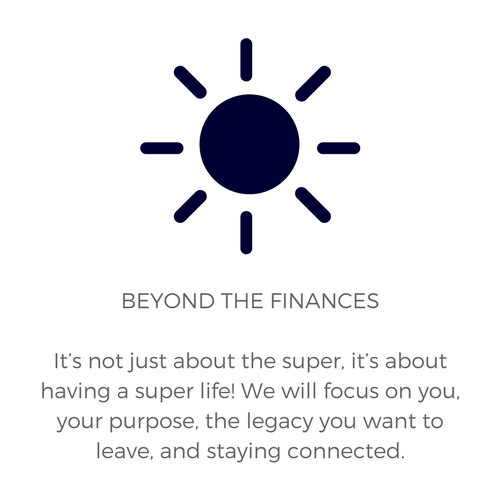 Without a doubt well-informed and robust financial planning is critical in planning for retirement as it provides enhanced choice and flexibility in lifestyle options when you cease working full-time. But what about the other considerations - the social and psychological aspects of retirement planning? Have you stopped to think about what’s important to you, how you might like to spend your days, who you'd like to spend your days with, your worries, and the opportunities that retirement presents? What happens when we don’t plan for the non-financial aspects of life after work? You know that you’re a better person when you’re busy (but not hectic) and so you are adamant that this won’t be you. You’re healthy, energetic (well 95 percent of the time!) and still have a whole lotta livin’ to do! The challenge for many, however, is that whilst the prospect of retirement should be an exciting time with so much freedom, it can actually create a sense of anxiousness. This is unchartered territory – what ‘should’ our retirement look like, what are we ‘supposed’ to do? If this resonates with you, then you are in the right place. Welcome! My goal is to support people just like you approaching retirement to successfully transition and create a retirement they love to live! I achieve this by providing insightful resources and practical tips, posing thought provoking questions and being that independent sounding board. Specifically I offer structured planning support which focuses on the non-financial aspects of retirement. Why start planning (or making a change) now? The people who take control and proactively plan for life in retirement tend to feel more fulfilled, engaged and content. Who wouldn’t want that?! Equally, just because you have already retired, don't feel that it's too late to make a positive change. With the average life expectancy in Australia now over 80 years, you likely have 20+ years ahead of you in retirement. In planning for a holiday we always think “we need to go there” and “we should see that” but when Day One of our holiday arrives, we draw a blank…What were all of those things we were going to enjoy? In the busyness of life they’ve slipped our mind. Don’t let this happen to your retirement. 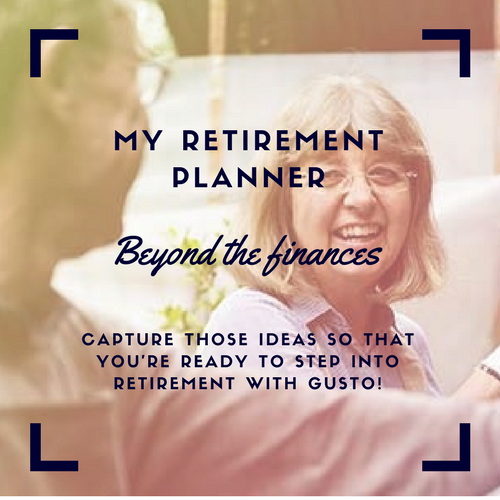 Download the My Retirement Planner and start capturing those ideas and inspiration so that you’re ready to step into retirement with gusto! To better understand how prepared you are for retirement, why not download the Retirement Planning Questionnaire? It's more than just a quiz, it's an action-focused tool that will help you take action today (not wait until the day you retire!) 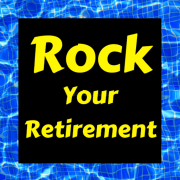 to create a retirement that you will love to live! Would you like to receive regular (but not too frequent) updates, articles and ideas direct to your inbox? Why not sign up for my fortnightly newletter!